Customer data collected is for the purpose of matching the customer with a service provider. Outside of our clients and affiliates, we will not sell, trade, or rent your personal information to a third party without your permission. We may send you offers through email or otherwise which we deem relevant to your specific project. You, at any time, may request to no longer receive such offers, at which time you will be removed from the list of offers within a 30 day period. In the course of using websites owned and operated by Electricien Montreal, you maybe prompted to provide information about yourself and project details. Some of this information will be sent to service providers or affiliates who will need this information in order to respond to you (or to other persons or entities) in connection with the your project or request. By providing this information, you are requesting, and you expressly consent to being contacted by us, service providers who advertise through us, and our affiliates. 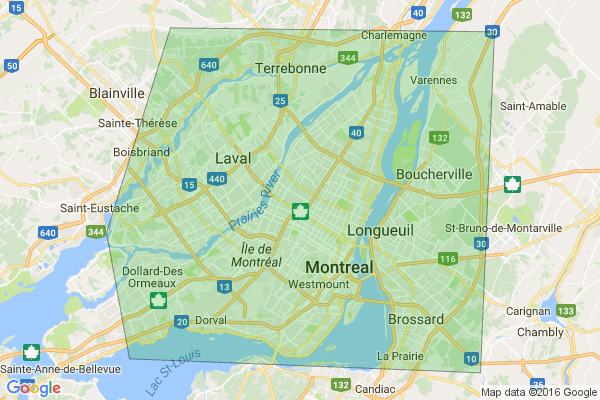 Electricien Montreal may share aggregated activity or statistical information with partners, advertisers or others, but such information shall not contain personally identifiable information. In the event Electricien Montreal goes through a business transition such as a merger, being acquired by another company, or selling a portion of its assets, users' personal information will, in most instances, be part of the assets transferred. This Web site may contain links from and to other Web sites. Please be aware that Electricien Montreal is not responsible for the privacy practices of such other Web sites. We encourage our users to be aware of this when they leave our Web sites and to read the privacy statements of each and every Web site that collects personally identifiable information. This privacy statement applies solely to information collected by Electricien Montreal's Web sites. We reserve the right to change our information, features, services, products, policies, promotions, disclosures and disclaimers at any time. Changes to this Policy will be in writing and be posted on our websites as applicable. Please check these terms periodically for changes. The continued use of any website owned and operated by Electricien Montreal or of any service provided by Electricien Montreal following the posting of changes to these terms will mean you accept those changes. Hi guys, I ordered one of those instant electrical shower water heaters from China and it came with lose wires, no plug. I need someone to attach a longer wire with a wall plug at the end. It's 110V 60Hz. Can you please, let me know if you would be able to do this and how much it would cost approximately. Thank you in advance. I wish to change a fuse box into a circuit breaker box for my upper duplex unit.